First time students, fill out the form below to register for your home education. Registration fees include 1st month tuition and books. By typing your full name in the text box above you agree that all information provided in this form is correct and that by registering you are responsible for tuition and services rendered. Photo credit to And All That Marlakey through the creative commons license. United Christian Home School is committed to safeguarding your privacy online. Please read the following policy to understand how your personal information will be treated as you make full use of our Web sites. This policy may change without prior notice. United Christian Home School will not send you any unsolicited information, including email regarding any commercial offers or advertisements at any time. We value the relationships we have with our customers and future customers, so we respect these concerns. Linked sites are not under the control of United Christian Home School. Therefore, United Christian Home School is not responsible or liable for the contents of any linked site or any link contained in a linked site. Links are provided to you as a convenience, and the inclusion of any link does not imply the endorsement of the site by United Christian Home School. Initial Cost: $270.00 – This includes the registration fee, books and first month’s tuition. Additional fees may be required for extra materials throughout the program. Per Month: $90.00 – Tuition price is $90.00 per month for the duration of the program or until the child enters a teen program. Initial Cost: $260.00 – This includes the registration fee, books and first month’s tuition. Per Month: $80.00 – The tuition price is $80.00 a month until they are finished. The diploma is issued on site upon completion. Initial Cost: $260.00 – This includes registration fee, books and part of the tuition fee. Final Payment: $180.00 – Upon completion of the program and final assignment review there is a final payment price of $180.00. The sooner you get started the sooner you will get finished. United Christian Home School is open year round and students can enroll up any time they are ready. Usually, home school education students in our teen program continue doing assignments during the summer to get a head start and finish their courses earlier. There is not set enrollment time. Just pick up the phone when you are ready. The process to enroll at United Christian Home School is quick and easy, and we have a friendly staff to help you answer any questions that you might have. Numerous students have come back to tell us how glad they are that they chose United Christian Home School to earn a diploma. Many went on to a public college, completed a degree and are now working in their field of choice. 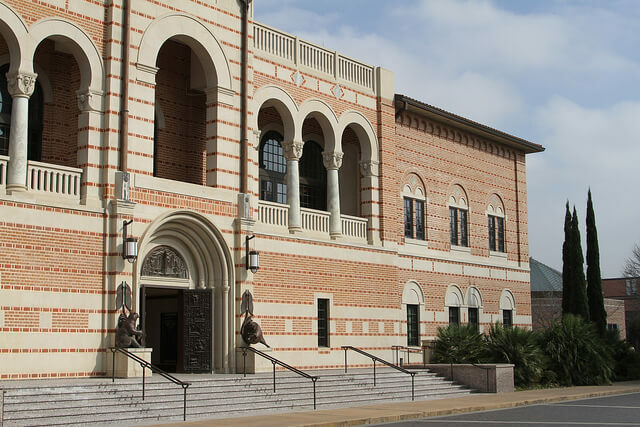 Other home school education participants attended shorter programs at Houston Community College that certified them with the skills to make more money in a particular field. When prospective employers call us, we do verify that you graduated from our school. When you are ready to enter college we supply an official transcript for you to give to the college. Photo credit to flickr user reb under the creative commons license. All state colleges and universities accept our students. We are a nationally accredited school, incorporated by the State of Texas as a home school. After you receive your diploma from us, go to the website of any college or university that you are interested in and follow their instructions on how to go about enrolling with them. Over the last 12 years we have had hundreds of students who attend college and earn a college degree. There are many other colleges you can choose from. These are the most popular ones. Photo credit to flickr user Perry B Mcleod. Contact us to set an appointment, for questions or to enroll and take your fist step towards your Diploma or Register Online! • Office building on right that has a big “2600” on the side of the building. Question: How long does it take to finish the courses? Answer: It is done at your own pace. Question: Does the $260.00 to start include everything I need? Answer: Yes, the $260.00 includes registration fee, books, and part of the tuition fee. Question: Do colleges accept this diploma? Answer: Yes, all state colleges and universities do accept this diploma. Question: Can I get a job with this diploma? Answer: Yes, many people go on to get jobs with many different companies and industries. Question: When can I start? Answer: We are open year round. You can start any day that you are ready. Just call the office to make an appointment. Call 832-778-9540 or 713-922-5606. Question: Do you need an appointment? Answer: Yes, please call for an appointment. Question: What if I already have 21 credits and just did not pass the TAKS test? Answer: Call us, we can help you with that. You do not need to take the TAKS test to get your high school diploma. Question: Can I get a class ring? Answer: Yes, you can go to the Wal-Mart jewelry department. They have a selection of class ring settings for you to choose from. United Christian School is an accredited home school program with the Texas Certificate of Incorporation & by the National Private School Association among other honors. The home schooling program allows students to earn a high school diploma at home to open new doors and opportunities. Enroll in United Christian School Today! This program is for students ages 17 and older. There are many people in their 20’s, 30’s, 40’s, 50’s and up who enroll in this program. Adult home school students are issued one packet to do at home at their own pace. The staff at United Christian Home School check assignments on site and issue a diploma upon completion of the program and all assigned tasks. Graduates can start college right away, start looking for a job or apply for a job promotion. Photo credit to flikr user Spirit-fire with creative commons license. 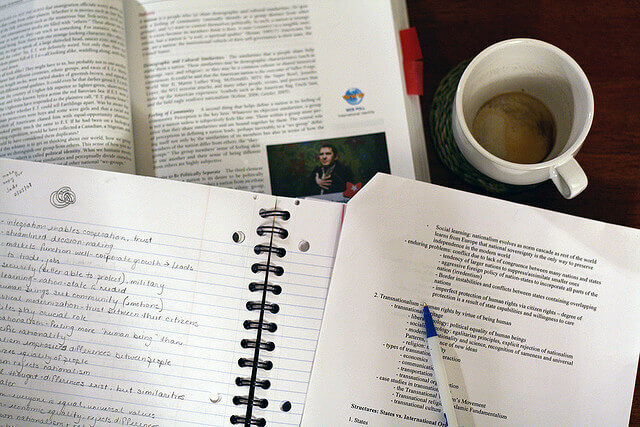 Home School teen education students are given four subjects at a time to work on at home. Students generally visit the facility once a month to hand in assignments and get a new assignment sheet. United Christian Home School also works one on one with students until they graduate. This unique teen education works wonders for teens already in the workforce. Photo credit to fliker user tilitran via the creative commons license.